CLOSED. WE APPRECIATE YOUR BUSINESS! 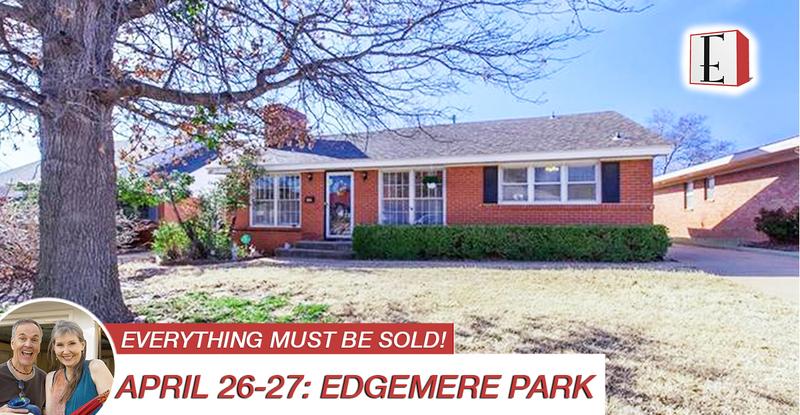 Join us April 26-27, 2018 in Historic Edgemere Park for this PACKED Oklahoma City Estate Sale! Beautiful barrister bookcase, wingback chairs, large ornate mirrors, vintage drop-leaf dining set, antique dining set, small appliances, contemporary living room furniture, contemporary bedroom suite, antique bedroom suite, tons of collectibles, home goods, a garage full of tools, and so much more. Everything must be sold! Don’t miss this liquidation!